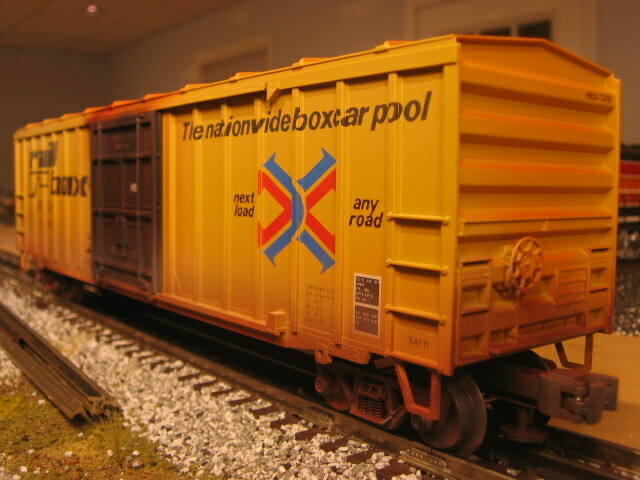 I think Weaver did a great job with their Railbox cars, so my hopes were not very high for MTH's version. I figured theirs would be sorta like Lionel's in that is was a little bigger than the Weaver models. To my surprise, these are actually more like the Weaver cars, so I'm very pleased. 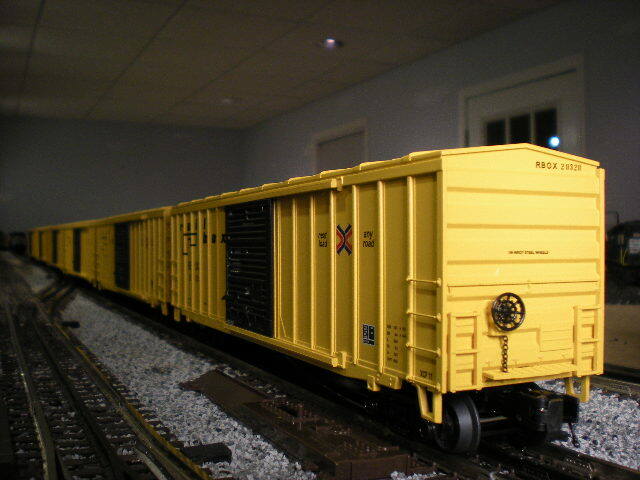 They look right at home riding alongside the Weaver Railbox cars that I already had. Made in 2008, added to my set in November of 2008. I picked this car up at The Roundhouse in North Hollywood while I was on a business trip in Los Angeles. 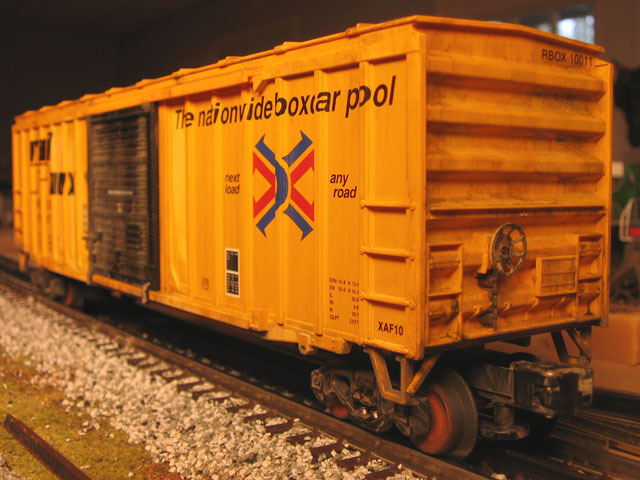 It's your basic Lionel scale boxcar with an attactive paint job, die-cast sprung trucks and a metal brake wheel. 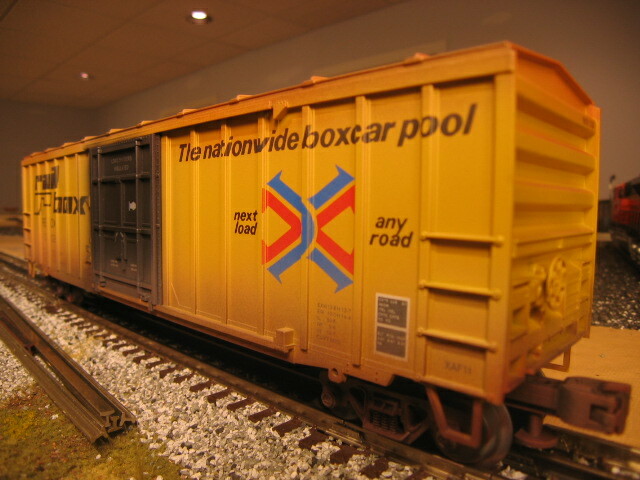 If you've ever wondered why Railbox cars carry the slogan "Next Load Any Road", click here for the answer. 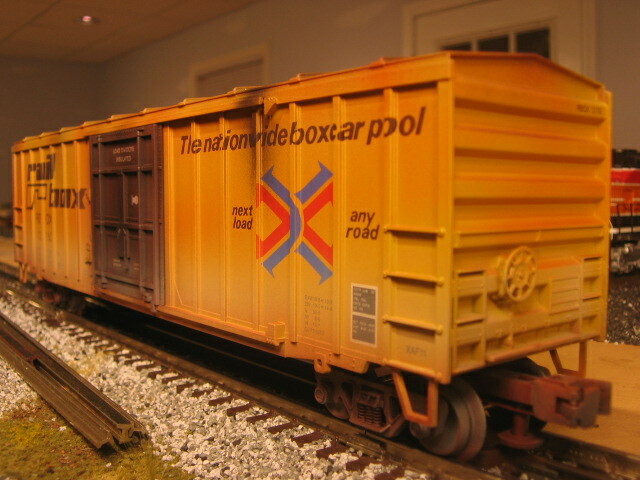 Made in 2007, added to my collection in February of 2008. 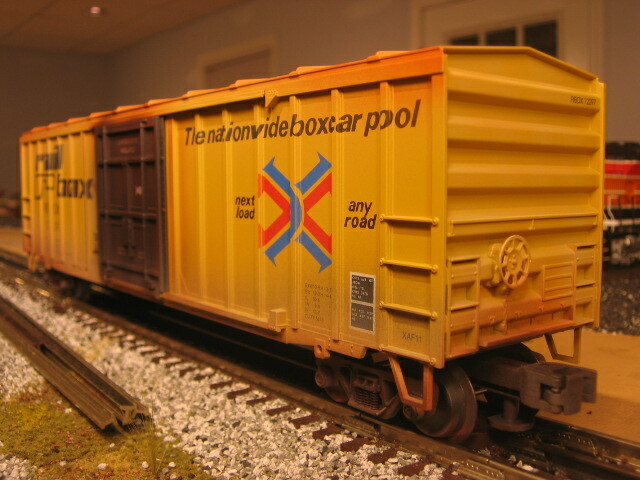 When I saw these in the Weaver 2008 catalog, I was really excited and ordered all 4 road numbers as soon as my budget permitted. As with most Weaver items I order, I requested that these be "weatherized". The cars are nicely done with a top notch paint job. Made in 2008, added to my set in August of 2008. Just like above, with a different car number. Added to my set in August of 2008.